View Grids All The Way Down on Notist. Thank you for your talk. It was most informative. I had forgotten about CSS grids! 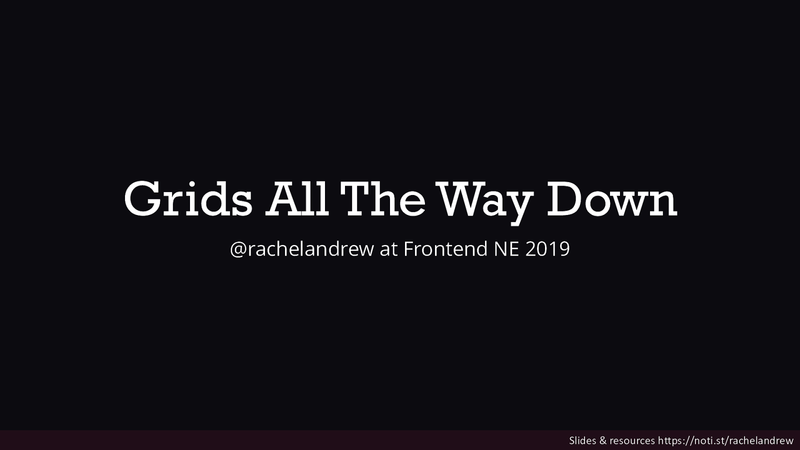 At @FrontendNE today, the talks by @rachelandrew and @LeaVerou were fantastic and have really inspired me to look at a project of my own in a different way. @katie_fenn raised my awareness of what Chrome Devtools can do and I can’t wait to use it more effectively.